Chances are, with a few exceptions, you can't--or not fully, not yet. That's right. All those clinical trials drug companies run to ensure that their medicine doesn't have undue adverse effects? If a woman is pregnant--or even if she might become pregnant--she's out of the trial, so there's no pre-marketing research on the safety of your particular medication during pregnancy. Of course the drug companies would like to know--but who's willing to experiment on a pregnant woman? Bert Spilker, M.D., Ph.D., former senior vice president of scientific and regulatory affairs at Pharmaceutical Research and Manufacturers of America (PHRMA), says, "We want to get the data but are leery of doing studies. We don't want to put women at risk unnecessarily." "What we think is reasonable is that we collect data on pregnant women taking a drug and put the information on the package label so that women can talk to their doctors and make an informed choice." It is such post-marketing data that has led the FDA to assign categories of risk to medications. Sweden was the first country to classify the risk of drugs taken during pregnancy in 1978. They divided medication into 4 categories, A to D. In 1979 the U.S. Food and Drug Administration introduced its own system, also using the letters A-D, but adding on an 'X' category. "Controlled studies in women fail to demonstrate a risk to the fetus in the first trimester (and there is no evidence of a risk in later trimesters), and the possibility of fetal harm appears remote." In short, they're--in theory, at least--drugs that have been tested for safety during pregnancy and found safe. We'll come back to this category--it's a bit iffy. Examples of category A drugs are Folic acid and vitamin B, which have both, over the course of time and much usage, been found safe for pregnant mothers and fetuses. It's not much--but if you just can't stomach spinach, beet roots or Brussels sprouts, these pills will help normal body functioning and prevent anemia. "Either animal-reproduction studies have not demonstrated a fetal risk but there are no controlled studies in pregnant women, or animal-reproduction studies have shown an adverse effect (other than a decrease in fertility) that was not confirmed in controlled studies in women in the first trimester (and there is no evidence of a risk in later trimesters)." In other words Category B drugs have been used during pregnancy for some time and do not appear to cause major problems. Drugs that don't seem to cause defects, after much data, are Tylenol (acetaminophen), Pepcid (famotidine), insulin (for diabetes), and Advil or Motrin (ibuprofen) before the third trimester. "Either studies in animals have revealed adverse effects on the fetus (teratogenic or embryocidal or other) and there are no controlled studies in women, or studies in women and animals are not available. Drugs should be given only if the potential benefit justifies the potential risk to the fetus." In short, these drugs may cause problems for you or your baby. Examples are antidepressants Prozac (flouxetine) and Zoloft (sertraline), plus the antiviral Tamiflu. Truthfully, this category often becomes a catchall for needed medications. The studies just aren't there in any rigorous ways--and in an ideal world you wouldn't take these-but the results of not taking them may just well be worse than doing so. "There is positive evidence of human fetal risk based on adverse reaction data from investigational or marketing experience or studies in humans, but potential benefits may warrant use of the drug in pregnant women despite potential risks." Examples of D are antidepressant Paxil (paroxetine) and anti-seizure and mood-stabilizing drug Depakote (divalproex). 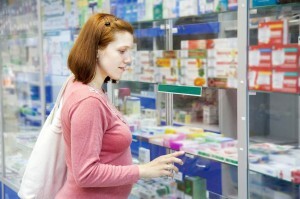 Category D drugs have clear health risks--for mother or fetus. "Studies in animals or human beings have demonstrated fetal abnormalities, or there is evidence of fetal risk based on human experience or both, and the risk of the use of the drug in pregnant women clearly outweighs any possible benefit. The drug is contraindicated in women who are or may become pregnant." Class “X” drugs should never be taken during pregnancy. These are drugs where the risk to the baby obviously outweighs any possible benefit of the drug. One well-known example is acne medication Accutane (isotretinoin), which is can cause auditory and visual impairments, plus mental retardation. Sedative Thalomid (thalidomide) famously caused severe birth defects when used to treat nausea during pregnancy. So let's come back to what looks like the 'ideal' category, if you must take medicine during pregnancy, the current Category A. It sounds great--but there's a fatal flaw. You might have noticed that the requirements for the quality of data necessary to have a drug assigned to Category A are problematic. There simply are no controlled studies in pregnant women. The government, most appropriately, doesn't allow them. The best drug companies can offer are the results of their studies on whether birth defects occur in baby animals when the medication is given to their mothers. In fact, you'll often find on medicine labels the results of studies done on pregnant animals. But as the Centers for Disease Control points out, animal studies do not always reliably show how medications will impact humans. Additionally, over-the-counter (OTC) medications and dietary or herbal products are not always tested on animals. So, really, there's only one other way of getting the information about medication safety in pregnancy--a sort of 'after-the-fact' trial, or real life experience. But even that less-than-ideal system has some flaws. Doctors are not required to report side effects to the FDA, and very few consumers realize they can do it themselves. The FDA's reporting system, MedWatch, apparently catches wind of only a small number of serious side effects. In 2004, there were 700,000 emergency room visits due to serious drug reactions; the FDA had information on only 423,000. And, even more distressingly, an Institute of Medicine report found that of those 423,000 reports, only 21,500 came from doctors and patients--combined. The report showed most doctors simply aren't reporting side effects to MedWatch. Yet physician, pharmacist and consumer reporting remain the only way to help the FDA evaluate drug safety for pregnancy, and thus we need to both encourage more of it, and rely on its use. And there are other options available to the mother-to-be seeking information. Motherisk, the Organization of Teratology Information Services, the FDA and the CDC know about current research from government studies, or smaller studies conducted by private doctors who collect data on the effects of medication on their own patients and their newborns. Beyond MedWatch, there are specific pregnancy exposure registries run by the FDA. A pregnancy exposure registry is a study collecting health information from women who do take medicines or vaccines when pregnant (Merck's registry for Singular explains that data comes from "voluntary reports from healthcare providers or from women/family members/friends about women who inadvertently (before knowing they were pregnant) or purposefully (knowingly took the drug to control their asthma) used SINGULAIR during pregnancy."). The FDA doesn't run these studies; it merely keeps a list of all the registries currently going on. You can see the list of registries here, some run by the Organization of Teratology Information Specialists (see below), some run by drug companies, some run by independent interests, like the Motherisk Program, a research and consulting service based out of the Hospital for Sick Children in Toronto, that studies the effects of drugs during pregnancy and breastfeeding. Additionally, there's the Organization of Teratology Information Specialists (OTIS). Here, you can get some answers--although, as of yet, few. OTIS explains that it "is a non-profit organization made up of individual services (TIS) throughout North America. We are dedicated to providing accurate evidence-based, clinical information to patients and health care professionals about exposures during pregnancy and lactation." The page has fact sheets with information on a variety of medications, in both English and Spanish. It's hardly an exhaustive list, with only about 25 fact sheets available, but if they happen to cover one of those drugs that concerns you, this is the place to be. These facts sheets are more helpful than any label or FDA category out there. For example, for antibiotic tetracycline you can find out that you can feel comfortable that there is little risk of major birth defects during the first trimester, although there's a very slight increase in minor defects such as hernia. After the fourth month, however, the risk for the graying of the baby's teeth increases due to calcification, or hardening of the bones and teeth. This calcification obviously impacts the baby's bone development, too, but unlike the tooth discoloration, the bone growth returns to normal when exposure to tetracycline ceases. Additionally, OTIS runs studies on pregnant women taking the medications. Unlike clinical trials, they don't give the medication to the mother, nor do they encourage her or discourage her from taking it. They merely utilize the subjects they have to find out the best information possible. They are currently running studies on the impact of taking the following during pregnancy: asthma medicines, the influenza vaccine, antiviral medications, the meningitis vaccine and the HPV vaccine. They also provide a list of about 10 publications with solid research on given medicines' impact on pregnancy. So while you most likely can't know with absolute certainty that your medication won't cause trouble for you and your fetus, you can find out the likelihood of adverse effects for a number of medications, and often you'll feel comforted by how low that percentage is. And research is ongoing. We know more with each passing year as data is synthesized. Pregnant moms who take meds agreeing to participate in research studies can make a world of difference. Just this past May the American Journal of Obstetrics & Gynecology published a study on antidepressant use in pregnancy. Researchers analyzed 228,876 Tennessee women who gave birth between 1995 and 2007, of which 23,280 were on an antidepressant before pregnancy. It's true that most -- 75 %-- stopped taking the drugs before their second trimester. Getting good data like this matters. The more data, the better treatment women have while expecting. Parenting's online magazine points out that after studies on over 2,000 women who had used asthma medicine Pulimocrt Turbuhaler in pregnancy found no increase of birth defects, the FDA was able to switch it from a category C to a category B med. Extensive data has revealed that penicillin is relatively safe, opening up ways to fight infection during pregnancy. Some other medications that years of information have indicated to be safe (after the first trimester) are Benadryl (diphenhydramine), Claritin, Colace and Metamucil. So you just might not have to come off all your medicines when you conceive, as we once thought best. Doctor and consumer reporting and committed organizations running studies can make pregnancy a safer and more comfortable experience for mothers who should be on medications. And if you do elect to stay on your medications while expecting? Please give serious thought to sharing your experience with the pregnancy registries. It can make for better treatment for all pregnant women in the future--and maybe one day get us to the point where, if you want to find out if your medicine is safe to take during pregnancy, well, you just might be able to know for sure.